This is the first time I have ordered a plant online. The packing was very well done, the delivery timely and the plant was very healthy and put out new leaves within the first couple of days out of the box. 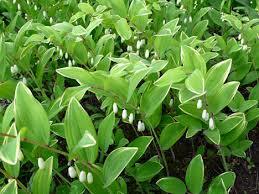 Soloman Seal - Polygonatum. The Soloman Seal plant is a perennial, edible, flowering plant that is often grown in the dense shade of rocky gardens, woodland areas, and slopes throughout Europe and Asia. They are typically between 2 to 3 feet in length, and their Hardiness Zones range from 3 to 8. When the plant blossoms in the Springtime, they will bloom white flowers which produce red or blackberries. These berries are often used as herbal teas or supplements. The stems of these plants can sometimes be consumed as well similar to Asparagus. Soloman Seal plants are low maintenance and can tolerate both wet and dry soil. Soloman Seal is a Woodland Plant. It is a gorgeous plant when in bloom. This plant will have small clusters of white blossoms and will show up in April through May. Soloman Seal is also a great addition to an area that has ferns growing. It has been used for centuries for the treatment of lung inflammation. It was also used to calm inflammation. It can also be applied to open wounds like burns and boils to aid the healing process. 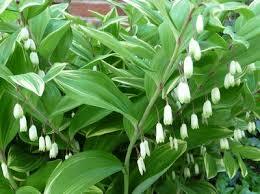 Solomons Seal has small non-showy flowers in the springtime. 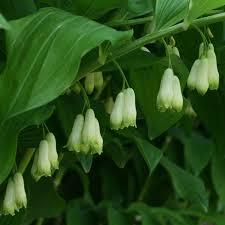 Solomon Seal attracts many hummingbirds who enjoy the nectar of the flowers. The plant is mostly disease and pest free. The plant is a native to the Eastern United States. Soloman Seal is seen growing in woodland areas through the Eastern part of the United States. The plant loves moist soils and will do great in well-drained soils also. Soloman Seal is a great way to attract butterflies to a garden or lawn because they like the beautiful white flowers that it will produce during April and May.